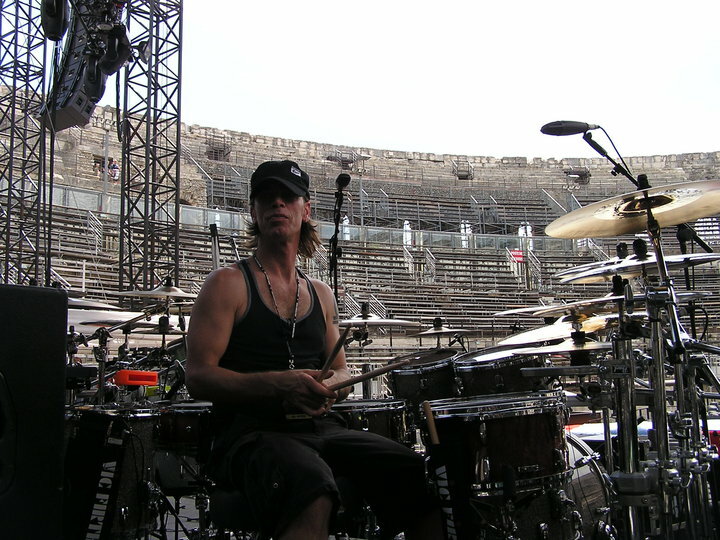 Kenny Sharretts has worked as a drum tech for Melissa Etheridge, Kelly Clarkson, Peter Frampton, Joss Stone, The American Idols Live, 30 Seconds to Mars, and Smashmouth. He is the current drum tech for Stevie Wonder and Rihanna. As a drummer he has worked for several Texas legends including Monte Montgomery, Kevin Fowler, Joe King Carrassco, Rusty Wier, George Devore, and Custard Pie. He is also an active member of the band So Called Underground. Tuning Your Snare In The Studio aka Did The Drummer Really Ask What Key The Song Was In? Want to have your snare sit perfectly into the fabric of a song? Try tuning the top head of your snare to the key of the song. This is a common practice in the “big boy” recording studios. I tend to tune snare drums pretty low in the studio to maximize the “balls” of the snare sound. Surprisingly there is a lot of crack down low if your playing can handle a lower tension. Also, it’s easier to accentuate crack via EQ than it is to EQ some whump where there is no whump. Low tension snare drums tuned to the key of the song are a perfect opportunity to tune the snare’s bottom head up to a perfect fourth. Adds a little crack to the whump of a low tensioned drum. What is your best snare tuning tip? Leave a comment and start a conversation! Hello there! I know this is kinda off topic but I was wondering which blog platform are you using for this site? I’m getting tired of WordPress because I’ve had problems with hackers and I’m looking at alternatives for another platform. I would be awesome if you could point me in the direction of a good platform.